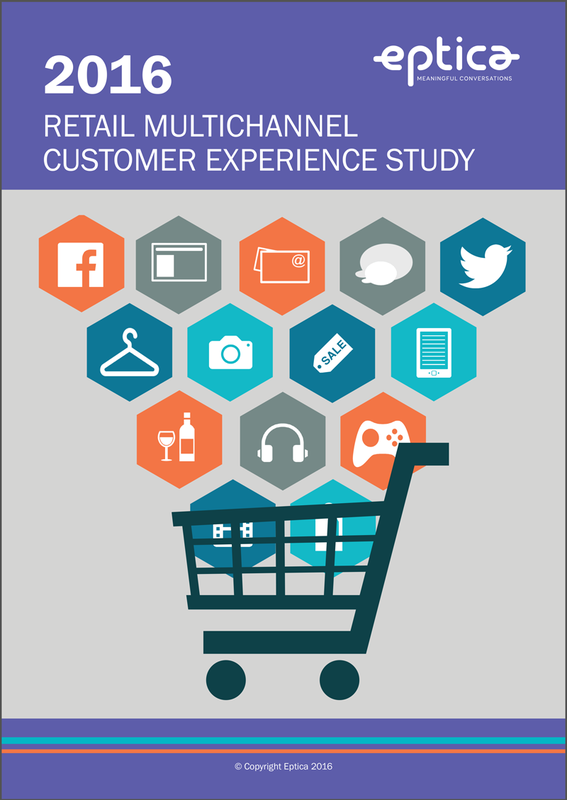 Retail Multichannel Study (2016) | Eptica - Multi Channel Customer Interaction Software. Email Management. Web Self-service. Live Chat and Agent Knowledgebase. As part of the Eptica Multichannel Customer Experience Study, 40 leading UK retailers, split between 4 sectors (food & wine, consumer electronics, entertainment and fashion) were evaluated on their ability to provide answers to 10 routine questions via the web as well as their speed and accuracy when responding to email, Twitter, Facebook and chat. Repeating research carried out since 2011 the study, from multichannel customer interaction management software provider Eptica, aims to mimic the behaviour of ordinary consumers across digital channels.